Looking forward to Trump’s purge of the Muslim Brotherhood operatives and jihad sympathizers at the Department of Justice, Department of State, Department of Homeland Security and Department of Defense. We are talking a massive purge and Obama stacked those agencies with enemies of freedom, Americanism and patriotism. I relish the coming prosecutions of dangerous Islamic groups like CAIR, ISNA et al, who were named as unindicted co-conspirators in the largest terrorist funding trial in our nation’s history. The Department of State is particularly compromised under Hillary Clinton. It works to impose the agenda of America’s most vicious adversaries. President-elect Donald Trump is breaking with precedent by demanding that politically appointed ambassadors leave their overseas posts by Inauguration Day, a report by the New York Times stated. In the past, new administrations have granted extensions to ambassadors on a case-by-case basis, especially those who have school-going children, for weeks or months. Trump’s transition staff, however, has reportedly issued an all-encompassing order, according to a State Department cable sent out Dec. 23. 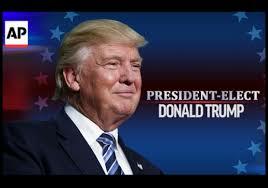 The president-elect has taken a stand to not allow any of President Barack Obama’s political appointees to continue beyond inauguration day, possibly with the aim dismantling many of Obama’s foreign and domestic policy measures. The move, however, could be problematic as it leaves the country without Senate-confirmed envoys for months to follow, the report said. While the Times cited a senior Trump transition official as saying that there was no “ill will” in the order, many ambassadors are considering approaching Trump’s nominee for secretary of state Rex Tillerson to appeal the decision. Many diplomats have now been left in the lurch as they attempt to come up with living arrangements in their respective countries and acquire visas that allow them to remain there in order for their children to complete the school year, the publication reported.